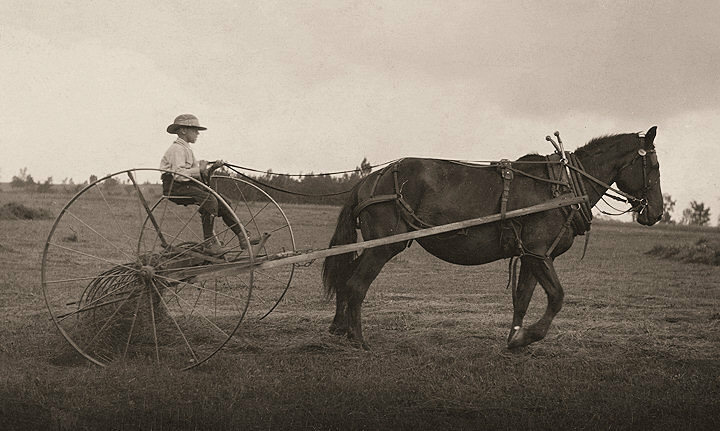 Field and Farm Work: Eight-year-old Jack driving a horse rake. A small boy has difficulty keeping his seat on rough ground and this work is more or less dangerous. Western Massachusetts.